There's something about an August garden that's very appealing - it's like watching someone letting down their hair, putting their feet up and breathing a sigh of relief that all their work is done at the end of a long day! 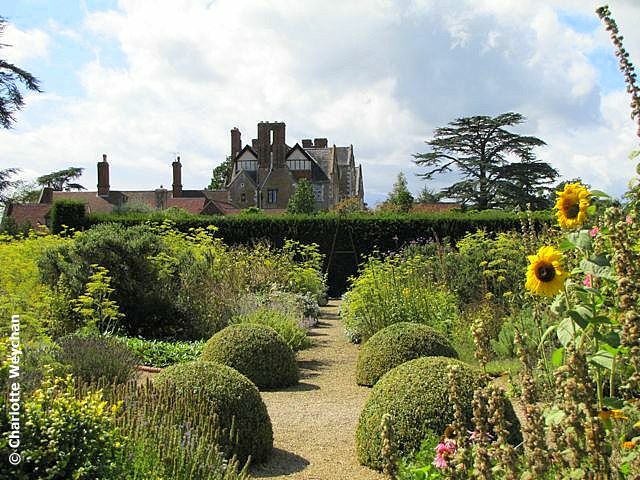 So, in the first of several new garden reviews, I'll walk with readers through some gardens that still look good at the end of a long season's work, starting with Loseley Park in Surrey. This is a lovely garden to visit at any time during the season, starting with the first flush of euphorbias and forget-me-knots in spring, followed by the magnificent wisteria and now with all the bright-coloured late summer flowers in bloom. 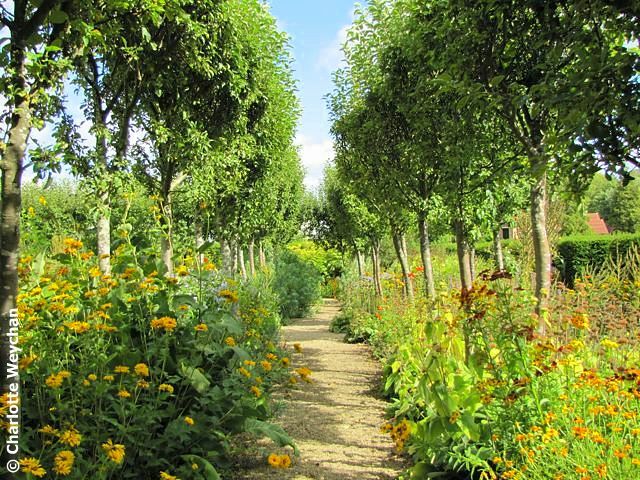 The first time I visited was in May a few years ago - the walled garden looked glorious then and what struck me about this garden was the abundant planting. It was a wonderful fantasy land in springtime, and a pleasant surprise to find even more colour in August. 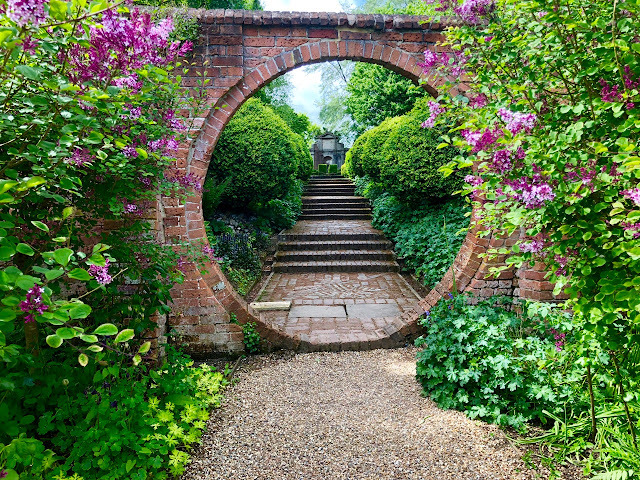 The walled garden here dates back to the 16th century, but was revamped nearly a century ago and based on a Gertrude Jekyll design and divided into "rooms", to include a herb garden, rose garden, white garden and flower and vegetable gardens. The rose garden, which is still in bloom and giving off glorious scents, was renovated in some 15 years ago and although I've yet to see it in full splendour in June or July, it's still a wonderful sensory delight at this time of year. 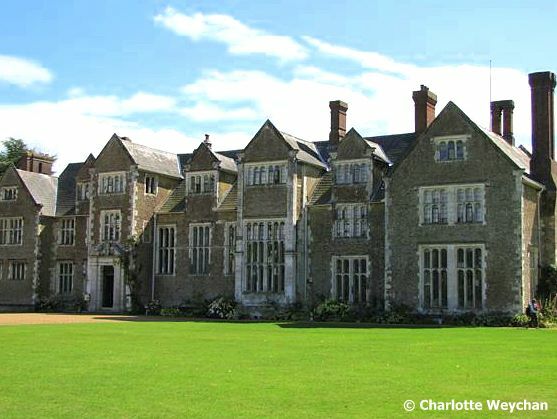 The Elizabethan house was built for Sir William More in 1562 and sits in glorious parkland near Guildford, so is easily accessible from London. 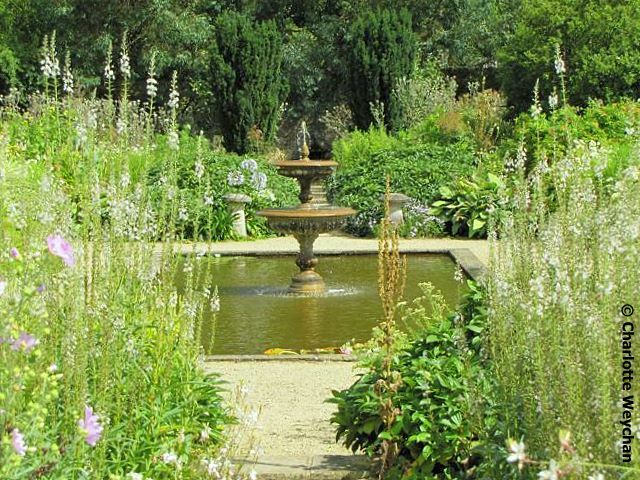 It is home to the More-Molyneux family today and they have spent the last 15 years improving the walled garden and making it what is is today. The central avenue of trees (below) makes a wonderful backdrop for crocosmias, dahlias, daylilies and ornamental grasses in high summer. 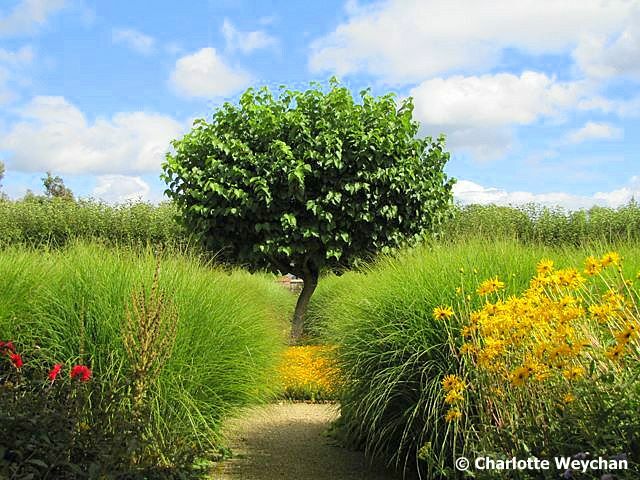 Patrick Taylor, well-known UK garden visit guru, says this garden is "not of startling originality, but it is skilfully planted and excellently maintained". 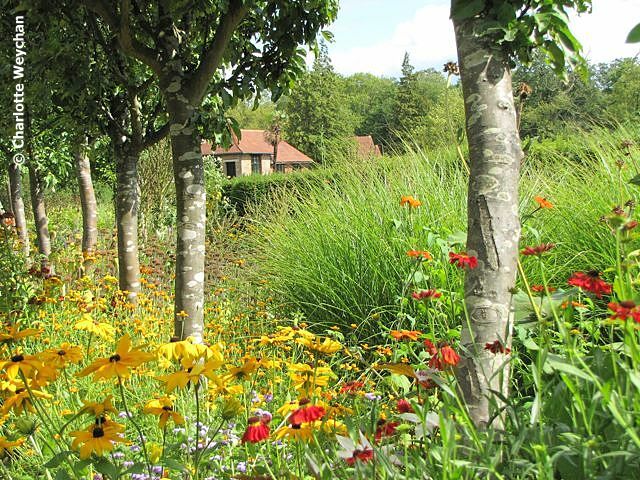 But I'm afraid I disagree - I think the garden is both "startling" and "original" and I for one will be visiting again, because it's like walking through an Impressionist painting! Loseley remains open until mid-September, so do get there if you can - opening times are 11.00-17.00 daily, except Mondays, but open for the bank holiday next Monday. Loseley belongs to the Historic Houses Association, so members get in free, but unlike many other great country house gardens, the house is also open to the public, so once you've wandered through the garden, you can see how the other half live, as you wander through well-proportioned rooms, furnished in the best of British style! 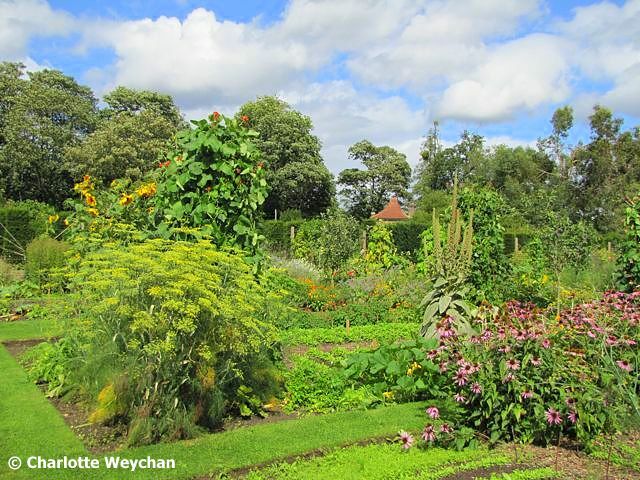 And if you're looking for other gardens nearby, there's always RHS Wisley. 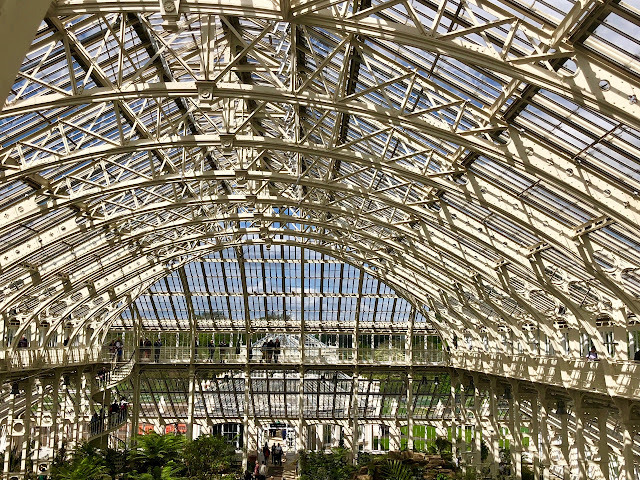 The house is also open to the public, so why not see how the other half live? I love the "english country garden" feel of your work here and these are really beautiful images. Very far away from my own local landscape here. I am green with envy that you have such wonderful inspiration on your doorstep, but thanks for bringing it to us through your blog! Such gorgeous aspects! What a beautiful garden. Envy!!!!! I really love the meadow flowers and herb garden! A beautiful setting to sit and enjoy a while. I love your comment about the garden "letting its hair down." And the wildflower meadow is scrumptious!